players drama school are the front runners for part time drama/theatre schools. Breaking new ground with our modern fresh approach but still respecting time honoured traditions. If your teenager is looking for a course to guide them along the way to their creative dreams then please read on. Welcome to the teenage section of players drama school, here we offer a training program for the emerging actor, drawing on varying styles and techniques ~ Acting, Physical Theatre, Voice, Singing and Dance. 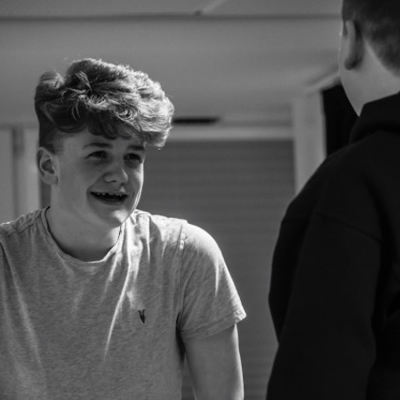 If your teenager is looking for a link to full time drama schools or furthering their education within theatre then please see how we are able to meet their needs. We wanted to provide a strong formal base for the emerging actor, so we have come up with a training program that we think is really special, fun, knowledgeable and jam packed with juicy creativity integrating the following ~ Voice, Movement, Acting & Singing that focuses on a deeper understanding of what action, subtext and narrative truth means. We believe these acting tools are transferable to all forms of theatre, T.V. and film, and all cultural styles and voices. And within that context we expose pupils to diverse training, from classical to devised, solo to ensemble, from creation-based work to music driven theatre, therefore preparing pupils/actors on their steps to achieve their goals. And if that is not enough we have master classes with professionals coming in. And all this in a fun caring environment, right on your doorstep. After 23 years at players drama school, we feel we have the right combination of a creative drama process with the emphasis being on both acting techniques and self-development. 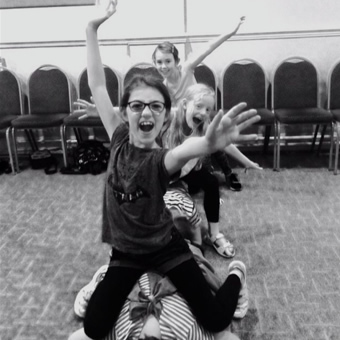 Through both devised and scripted work, your child will develop and learn the joy of acting. The theatre is a great platform for pupils to develop their voices – the emphasis on being ‘Make A Noise.’ At last, a place where you can make noise and it’s OK!